K-pop fans are well known for their dedication to following their idols but a recent trend is perhaps taking things too far. Several Twitter accounts have appeared that promise to tell fans the flight information of their favorite stars. This can even come down to the exact seat that the star is sitting in. 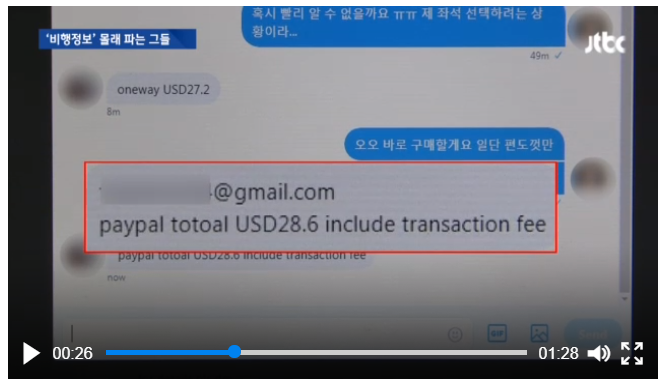 Wanting to test the claim of these accounts, a journalist from JTBC contacted one of the accounts and was able to receive both the flight and seat number of a member of a famous idol group. The information only cost 30,000 won for the flight number and 20,000 won for the seat number. In total they claimed the process took around an hour. Of course, while this may seem like an obsessive, yet harmless activity by fans, the problem is that this information could be seriously exploited. Because of this, there have been calls for an investigation into how the flight details are being obtained. Of course, there is also another possibility, and that is that the Twitter accounts are quite simply making up flight details and duping fans out of their money. 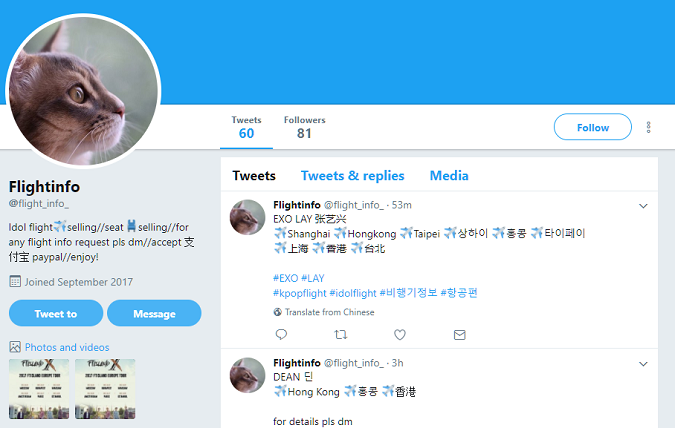 One of the Twitter accounts, which started in July 2017, has a post, written in Chinese, Korean, and Japanese, that claims that while it is possible for them to search for any flight, there is a chance that no results will come up and even in this case a refund will be impossible.